It does seem now that wherever you look, more people are discussing the benefits of correct posture. We have all, at some point we hope, heard about or been made aware of the importance of posture, or more specifically, the importance of correct posture. The term ‘posture’ translates to ‘the position or bearing of the body that one holds’. How many times have you found yourself feeling a little too tired, a little too fatigued a little too early? Some nights, you may even struggle to find the actual reason for your exhaustion. Despite not doing too much in the form of physical and mental activity during the day, you find yourself exhausted by dawn – why? It’s your posture. Worry not, however, as the benefits of having a neutral spinal position go far beyond just internal strength and harmony. The quality of your breathing, the ‘swagger’ in your walk, the quality of your talk and the confidence in your appearance are also all by-products of practicing and targeting the optimal spinal position. To better understand what is exactly meant by the optimal spinal position, it is probably wise to know a thing or two about the spine first. So, let’s add some science behind these claims. The human spine consists of 3 main areas that are naturally curved, either inward or out. The top of the spine around the neck and upper back area is known as the Cervical spine and is curved gently inwards. The middle of the spine – the largest part - known as the Thoracic spine is curved gently outwards and the Lumbar spine, or the lower back, is once again curved gently inwards. Inwards, outwards, inwards – producing a sort of ‘S’ shape. This is the natural, healthy position of your spine. Now that’s cleared up – it is vital also to remember that it is our job to maintain the natural alignment of the curves and to ensure it is protected from excessive strain or stress. Scientists have found something remarkable – Human beings and Lobsters have more in common than you may be inclined to believe. A lobsters mood is regulated by the ratio of Serotonin to Octopamine in their brain – when the former is higher, mood is better and vice versa. To clarify, Serotonin is the friendly chemical our brain – our human being brain - produces and is directly associated with happiness and well-being. Higher Serotonin levels equal higher levels of happiness and fulfilment – for both human and lobster alike. Scientists found that whenever a male lobster would go in to battle with another male lobster, usually for mating or territorial privileges, there is always one winner and one loser. Now, obvious as that may sound, it was even more obvious to identify the victor and the loser by simply observing their posture after the fight. The victorious lobster would stretch out its appendages, making himself look bigger, more confident and in the future, be more likely to accept and win a battle, studies have shown.This is mainly due to the fact that Serotonin, which is released more freely following victory in battle, regulates postural flexion – making us want to stretch out and improve our body language in direct proportion to our mood. The lobster that lost, however, would cover up and make themselves look as small and fearful as possible – crawling around on the side-lines ready to run away at any hint of conflict. Sound familiar? That lobster would also be less likely to enter in to battle for territorial or mating privileges in the future, and in the event that they would fight, they would be more likely to lose – again. If depression were a thing in the lobster world, this lobster would be well on his way. Perhaps Hollywood A-lister, Bradley Cooper, knew what he was talking about when he claimed that “your posture now determines your portion later”. If that is not fascinating enough, scientists also discovered that by injecting serotonin in to a defeated lobster, they would all of a sudden stretch out their appendages, appear more confident and be more likely to engage in battle again, even against a former nemesis that bested them – but this time, they would be more likely to fight harder and for longer. Fun fact: even Prozac works on lobsters. A recent study by The National found that Dubai plays host to over 700,000 commuters every single day, and this figure is rising steadily as the government looks to exercise policies that encourage more economic involvement as well as promote gender balance in the workforce. You may be just one of the tens of thousands of workers who feel fatigued and stressed after a long commute – or at least worse off than when you started it. What’s more, the average Dubai commuter spends up to 21 hours a week in traffic and those that make the all too popular journey from Dubai to Sharjah for work are much worse off. 21 hours a week quickly translates in to 84 hours a month and if the pattern continues, the average commuter can spend over 40 days of their year travelling to work and battling traffic. That is a lot of time our commuters spend seated in their cars – surely the quality of the drive is something that must be looked into. At the beginning of the article, the importance of an optimal standing andsitting posture were mentioned. With so many of us spending near hour-long commutes, we should probably also consider the impact this sedentary journey has on our backs – and everything else that goes with that. The optimal seating position, for the purpose of maintaining a neutral spine position is pretty straight forward: Have your shoulders over your hips, feet flat and firmly planted on to the floor, support for your lower back and your chin aligned over your chest. Simple, right? Perhaps for the passenger. Driving, however, presents a whole host of new issues to consider. The human body becomes subject to different forces whilst driving, such as the lateral swaying experienced side-to-side, the impact of acceleration and deceleration and many other vibrations that inevitably occur on your journey. For this reason, ensuring a proper posture at all times whilst driving becomes very difficult – maybe even impossible. Luckily for us, technology has progressed to such staggering lengths that in fact, car manufacturers have caught on themselves and some are looking to emulate a 'Zero-Gravity' experience for its lucky customers. Take Nissan, one of the most established automobile companies and an industry giant fuelled by incessant Japanese innovation. Nissan have looked to innovate beyond comprehension, recently introducing Zero Gravity seats in to some of their cars - and if you have not heard of this by now, it may be high time to pay attention. It is now possible to recreate a ‘zero-gravity’ experience whilst driving to work. A Zero-Gravity experience can be described as the feeling of being completely weightless, and therefore having minimal pressure on your spine. This is something NASA has been looking in to for many years, and now, Nissan are ready to take advantage of it – offering Zero-Gravity seats in some of their cars. The Zero-Gravity seats used by Nissan allow for stress-free driving, reducing fatigue and maximising comfort. This is the result of maintaining the neutral spinal position – something much easier to do without gravity in the picture. 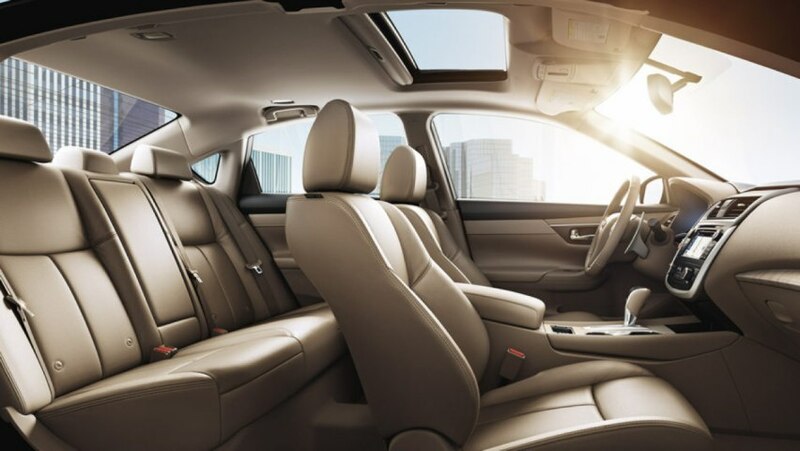 The seats almost cradle your body, making sure the neutral spinal position is not messed around with, despite all the external forces that act during driving. These seats were developed through extensive research from the Yamazaki Laboratory at Keio University in Japan using seat simulators and a Musculo-skeletal model. Through this, Nissan is now aware of the bearing capacity of each part of your body and thus created a seat to not only provide extra comfort, but minimize the load on the spinal areas, including your hip and pelvic areas. Inspired by NASA’s research on Zero-Gravity atmospheres and space travel alike, Nissan’s new seats boast a variety of benefits for the driver. With 14 separate pressure points integrated within it and flex cushions that respond to your body’s unique movements, the Zero-Gravity seats help to regulate healthy blood flow, dramatically increase comfort, maintain your neutral spine and leave you feeling refreshed even after the longest of commutes. Sounds like something of major importance in a country very familiar of the drawbacks long drives can result in. Do not forget, though, that as soon as you are out of the car, the maintenance of your neutral spine position and the protection of your posture and mood alike become your responsibility again. To date, Nissan have added the Zero-Gravity seats feature in the 2013 Altima, Rogue, Murano, Titan and Titan XD and now, of course the Nissan Kicks model 2018 and 2019 offers its astute owners the same, zero-gravity, weightless experience! These models, including the Kicks, are available in the United Arab Emirates at all licenced Nissan distributors and at competitive rates at top Car Rental agencies, such as Speedy Drive. Speedy Drive and Co offer various monthly deals, and if you are still unsure about the stark difference the quality of these Zero-Gravity seats will make on the quality of your drives, perhaps it is wiser to try it out for 30 days and check the legitimacy for yourself!